Mr. Nilsestuen is a CPA who specializes in the field of international taxation. He has held a variety of positions throughout his thirty-five year career, including the top tax post at two NYSE manufacturing corporations. Presently he is Executive Director - International Tax at Grant Thornton LLP, an international accounting firm. He has served a variety of clients, from Fortune 50 companies to small businesses. Most of his career was in the now Big 4 accounting firms, including Andersen, Deloitte and Price Waterhouse. He has managed many projects and teams, usually focused on reducing tax costs for his clients or employers. 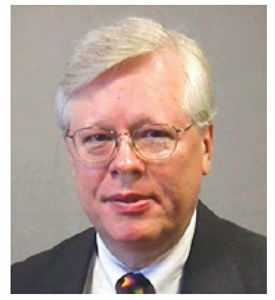 He has often taught in his field for the American Institute of CPAs, various state societies, the Council on International Tax Education, and his employers. He holds a BS Business (Accounting) and has completed more than 3,000 hours of study in accounting, taxation, management and related fields. He is a licensed CPA in Ohio. In more than 50 years of collecting, Mr. Nilsestuen has developed a variety of interests. His principal effort has been the assembly of a comprehensive exhibit of early Algerian postal history that has received numerous national Gold medals, including a Grand Award. He is a nationally accredited philatelic judge. His other activities include membership in many societies including the APS, the American Association of Philatelic Exhibitors, the American Philatelic Congress and the Collectors Club of New York. He is currently the president of the France and Colonies Philatelic Society, and he serves as treasurer of both the Garfield-Perry Stamp Club and the Collectors Club of Akron. His articles have appeared in the American Philatelist, the Congress Book and the France and Colonies Philatelist. He also co-wrote a monograph on the hand cancels of Algeria that won several silver medals.